A Reason to get Crabby? There is something about crab and citrus that makes for an unbelievable combo. Lump fresh crab, some arugula, grapefruit, orange, and a creamy dressing—can anything be better on a hot, sunny day? It is the perfect refresher after walking around in the sun. 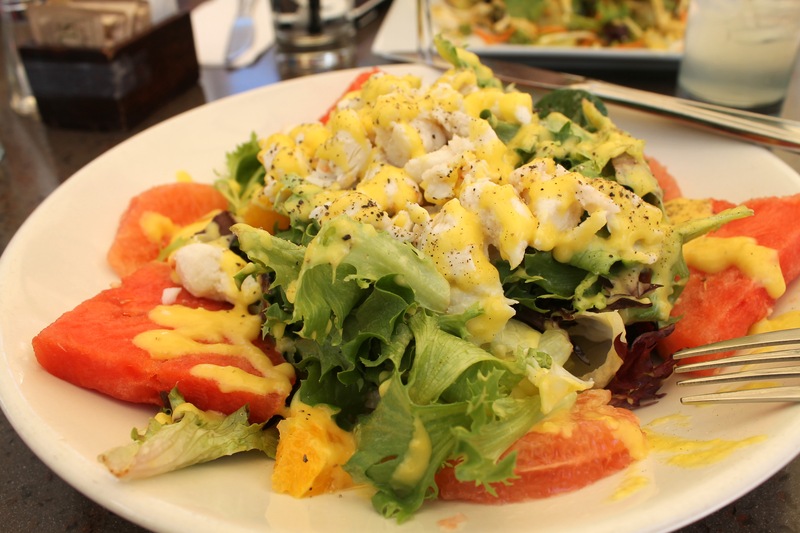 The best thing about this salad (besides the crab) is that you can modify it any way you want—the only thing I would keep would be the fresh crab—head to the local supermarket, pick up some crab and whatever else you want and voila! You have the perfect lunch on a spring or summer day. I would add some type of citrus fruit (think grapefruit or oranges, watermelon, even mango if you’re feeling adventurous), some fresh avocado, mixed greens—arugula, spinach, or a salad blend—and as for the dressing it’s up to you, but I do recommend sprinkling some fresh lime juice over the top. It’s your own crab salad with a twist (and yes you can say you actually made it—next stop, Food Network’s Chopped). If you want to try this check out this awesome recipe I found on Pinterest—I promise it’s not as hard as it looks! If you need more variety—particularly food for those hot summer days—make this awesome crab salad, you won’t regret it (a regular salad won’t cut it anymore). But until next time, keep eating! If I could live off one thing for the rest of my life it would be smoked salmon (aside from Jamaican barbeque and tzatziki of course). I know it’s an acquired taste for many, but man I could eat it for days—and that’s what I did. Over the past week and a half, I had smoked salmon for either breakfast or lunch (and sometimes both). It pairs so incredibly well with cream cheese (I tried it with an herb cream cheese, which may just beat plain old cream cheese), fresh tomatoes, red onion slices, capers, and a soft, doughy, plain bagel. As if this couldn’t get any better, you must top it off with some fresh lemon juice—seriously you won’t want to eat anything else. While I haven’t truly explored to find the best smoked salmon in Boston, I must say that Espresso Royale Café on Commonwealth Avenue, part of Boston University’s campus, does make a mean smoked salmon bagel–the Santa Monica. If consuming that much raw fish wasn’t bad for you, I would eat it all day, every day, breakfast, lunch and even dinner. Some would say that’s excessive, but I beg to differ. The thing that I like about that sandwich is that they add an avocado spread, which makes the rest of the flavors of the sandwich pop (particularly the smoked salmon). Discovering the Santa Monica has made my college experience that much better (but can’t say the same for my wallet). The funny thing is, is that while I absolutely love smoked salmon, I don’t ever buy it when grocery shopping. How strange. They do say there is a first for everything, so maybe I should start now? 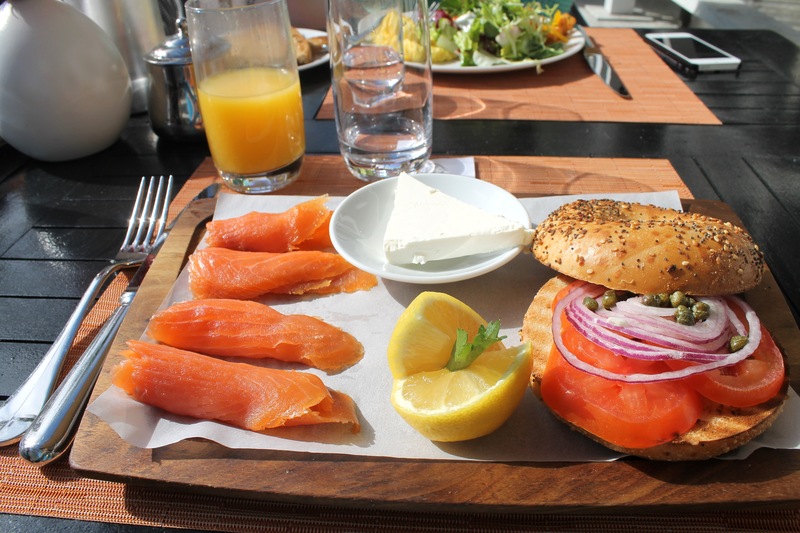 If you haven’t already experienced the wonderfulness of smoked salmon, I strongly recommend you do (especially with a bagel)—I now can’t imagine my life without it. But until next time, keep eating!